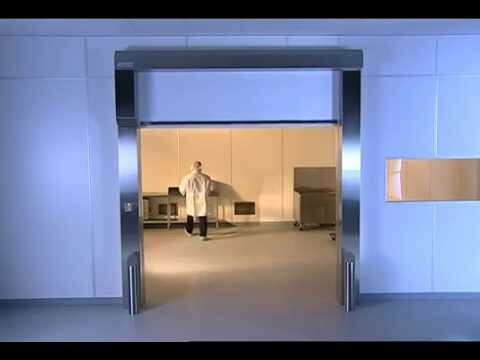 Engineered to comply with cGMP guidelines, the Pharma-Seal is the tightest sealing, most reliable, high-performance rolling door available. The simple design has no external parts, making it easy to clean. Ideal for pharmaceutical and food and beverage, the Pharma-Seal can be built up to 10' wide x 10' high. With only a 3/8-inch gap for the door panel, hidden wind knobs seal the perimeter and withstand negative pressure. Variable speed AC drive enables opening speeds up to 50 inches per second and provides uninterrupted facility operations. Using all USDA/FDA-compliant materials, the Pharma-Seal is engineered to provide unprecedented reliability in class-rated environments.